This post originally appeared on the Wessels Elder Law Blog. A recent Wisconsin appellate case is a reminder that if you love your pets, you need to plan for them. For years I have written and lectured about the importance of considering your pets in your estate planning. A recent case from the Wisconsin Court of Appeals illustrates why. 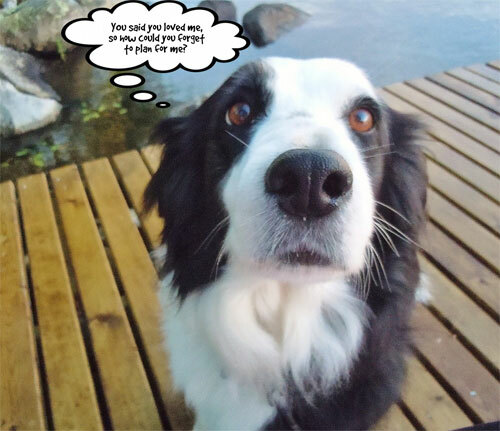 For this blog, my adopted dog Summer will also comment. The case in point is called Hollander v. Wegman. The case was a dispute about a dog that belonged to a woman who had passed away. The case was originally brought as a “replevin” action, which means an action for return of property. This is because pets are considered property in Wisconsin Jurisprudence. The Plaintiff in the case was Jill Hollander, whose mother, Jane, owned a bearded collie mix named Olive. The defendant was Lynne Wegman, a “close friend and neighbor” of Jane’s. Before her death, Jane decided that she would leave Olive either to Jill, to another friend named Julie, or to Lynne. Julie did not want the dog, leaving Jill or Lynne. Also prior to her death, Jane asked Jill to take Olive and Jill expressed that she was not able to do that because her living arrangements were not suitable. (Jill later testified in court that she intended this to mean she would take Olive upon remedying the living situation.) Jane then gave the dog to Lynne, upon Lynne’s assurance that she would provide Olive with the necessary care. Two months after Jane’s death, Lynne gave the dog to Lynne’s own daughter who lived out of state and who clearly was not one of the original people Jane considered for the role. So turning back to this recent case, when Lynne betrayed Jane’s trust by giving Olive away after promising to care for her, Jane’s daughter sued to get Olive back. In reviewing the case on appeal, the Court of Appeals made a significant statement: “Because there are no written documents in the record specifying who was to receive ownership of the dog, the small claims court relied upon [the testimony of the parties. ]” It was Jill’s word against Lynne’s as to who was entitled to own the dog. The court expressed concern and admonished Lynne for betraying Jane’s trust, but still found that it appeared Jane had given Olive to Lynne. The Court of Appeals found that there was no reversible error in the trial court’s finding. All of this happened because Jane did not specify in writing who should get Olive after her death. 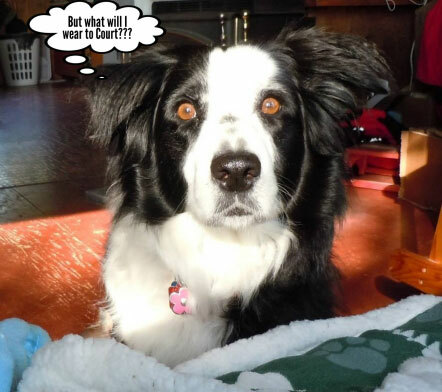 Nobody wants their dog to end up as the subject of a court proceeding. But, while this is, I believe, a first time case in Wisconsin, it is not the first time that disputes have arisen over pet ownership. Pets can be the subject of bitter divorce proceedings, and other “custody” cases. Pets can also be the subject of contested litigation after the owner’s death. Hotel Magnate Leona Helmsley left a $12 million bequest to her Maltese dog, Trouble, while disenheriting most of her relatives. The disgruntled relatives contested and Trouble was left with a somewhat smaller but still quite comfortable allowance of $2 million. Other pet bequests have stood solid. An Italian woman left $13 million to her cat, Tomasso, a stray alley cat she rescued from the streets of Rome. $80 million was left to a chimp. Oprah’s dogs reportedly stand to inherit $30 million. But it’s not just rich people who need to make plans for their pets. Any pet owner who wants to make sure that his or her intentions are clear, can include provisions in a power of attorney, and in post-death planning. Unless you opt for very complex provisions, it should not cost any more than you are already paying for your estate planning. A pet trust can make sure things get taken care of quickly, without having to wait for a case to start in probate court. I encourage you to consult with an attorney who can guide you through the process. You might also want to watch a news segment that aired last year on WISN-12. Click here to watch this segment (It featured my dog Jake, who is now across the “Rainbow Bridge” .) When you put your plans in writing, it’s best for the ongoing security of your pet, and provides simplicity for those who have the job of carrying out your wishes. If you care about your pet, don’t leave things up in the air. Put your wishes in writing, and keep your pets out of court. They wouldn’t have a clue what to wear, anyway.